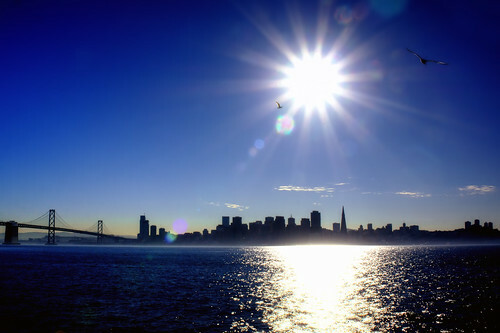 San Francisco from Treasure Island, a photo by ericwagner on Flickr. There are probably millions of photos taken of San Francisco taken from this vantage point on Treasure Island so I thought I would experiment a bit with this high contrast photo with intentionally blown highlights and lens flare. This entry was posted in Uncategorized on January 23, 2014 by eric.